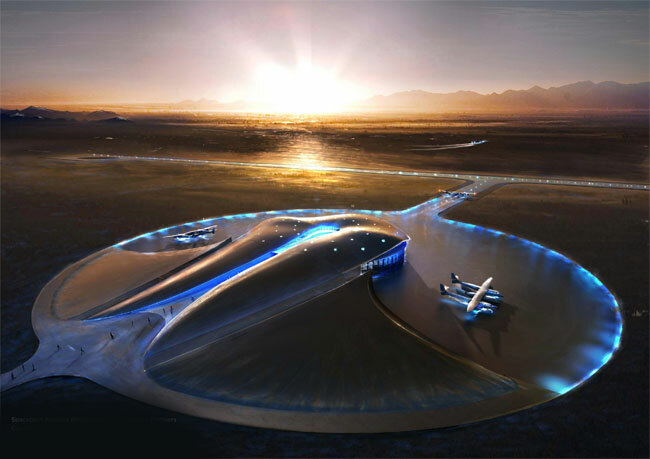 Sir Richard Branson today opened the Virgin Galactic Gateway To Space formally known as Spaceport America for business today, by abseiling down the side of the world’s first built-from-scratch commercial spaceport, spraying and drinking from a bottle of champagne. Even though the space port is now open it will still be a little time before paying customers will be making their first flights in to suborbital space. Testing is expected to continue until later in to 2012 with flights into suborbital space expected to be launched from the spaceport in early 2013. 450 passengers have already bought their £125,000 tickets to make the journey into suborbital space once the Virgin Galactic Gateway To Space is finally ready.